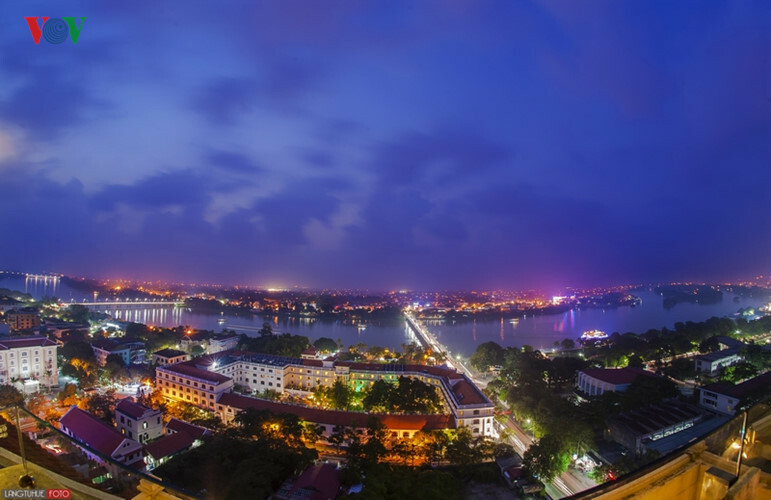 These photos of the skyline of the City of Hue were taken by an unknown photographer, providing an amazing perspective from vantage points overlooking the metropolitan area. View of Ngu Binh Mountain from atop the Phu Van Lau Flag Tower. Floral Buddhist procession as shot from overhead. The lotus flower on the Huong River. 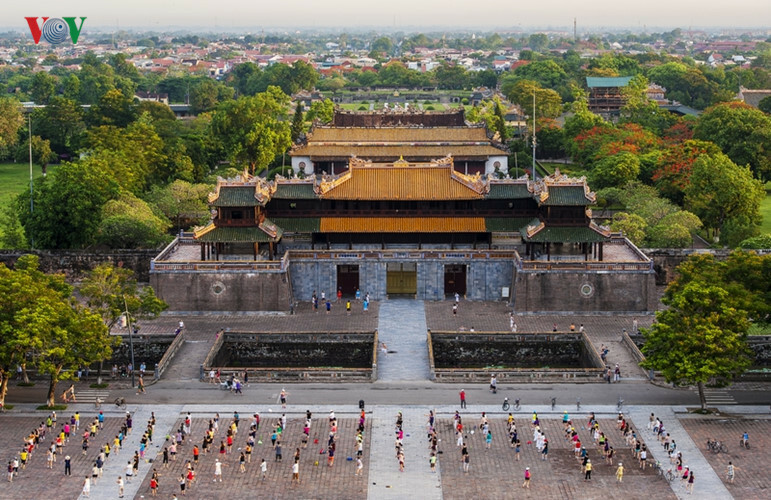 Morning exercises at the imperial city of Hue. First rays of sunshine strike Gates of Hue Imperial City. 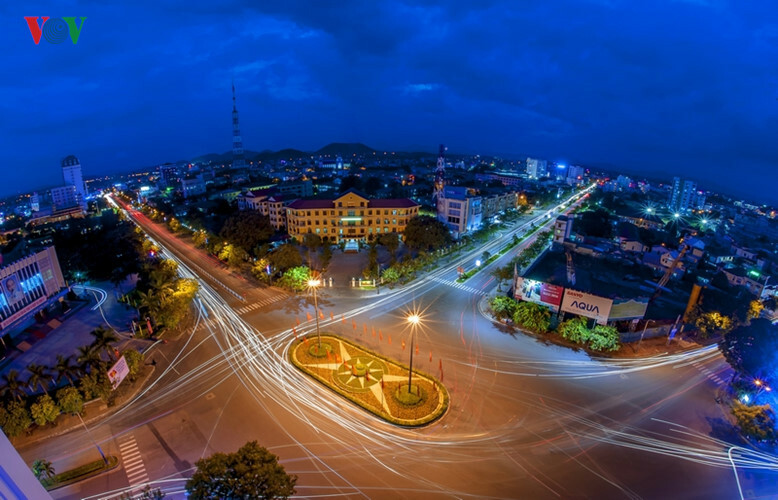 Truong Tien Bridge in the evening from the highest point in Hue City. 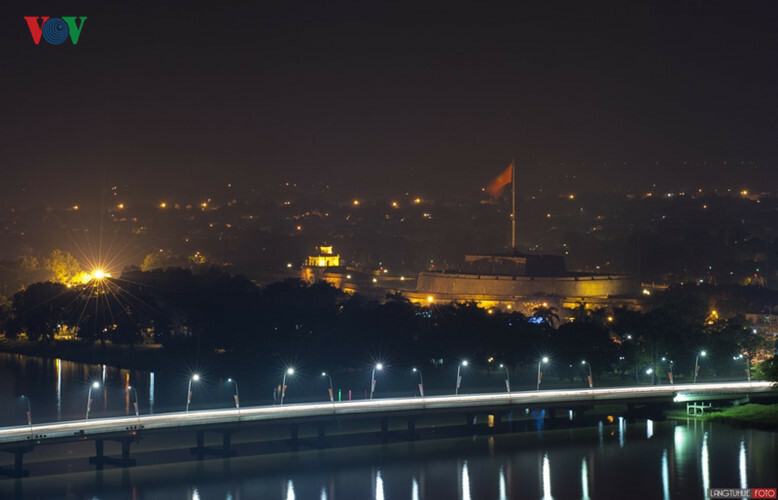 Phu Xuan Bridge shimmering at night. Roundabout in the city centre. 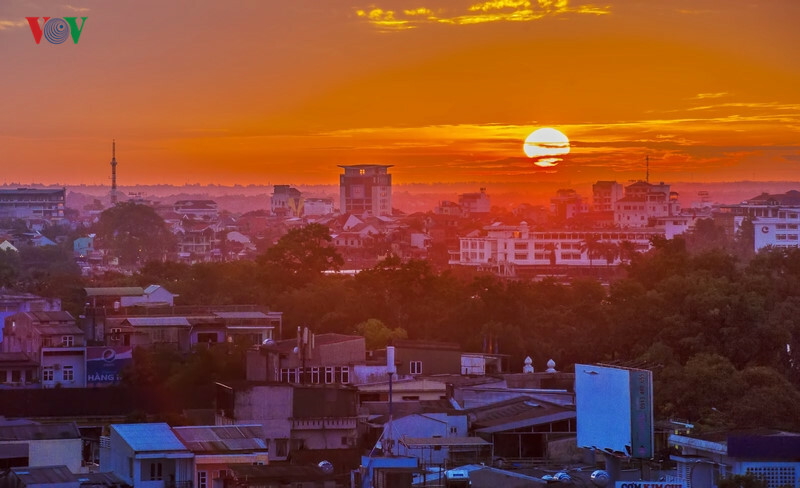 Hue at peace in the early morning.